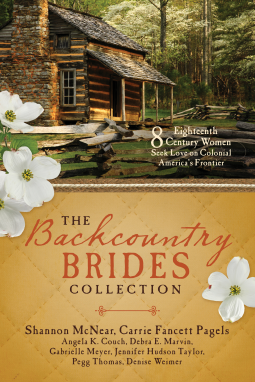 Welcome to the blog tour and giveaway for The Backcountry Brides Collection, hosted by JustRead Publicity Tours! Travel into Colonial America where eight women seek love, but they each know a future husband requires the necessary skills to survive in the backcountry. Living in areas exposed to nature’s ferocity, prone to Indian attack, and cut off from regular supplies, can hearts overcome the dangers to find lasting love? 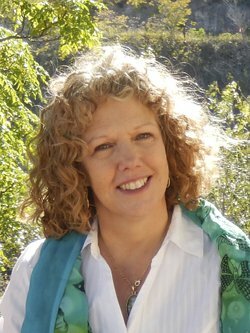 Welcome Carrie Fancett Pagels, one of the contributing authors of The Backcountry Brides Collection! The Backcountry of Colonial America – A Dangerous Place! Thanks for having me visit with you, Heidi! I’d like to share with your readers, especially those unfamiliar with frontier colonial times, a little bit of the problems of living in the wilderness at that time. I’d like to direct readers to www.colonialquills.org our group blog, which shares all kinds of information about colonial times. Most folks at that time lived on the coast. There was a reason for that. Some population was due to ease of travel by water. But another reason was that one’s “enemies” lived further west. In my story, “Shenandoah Hearts”, in the mid-1750s, my hero Jacob Owens lives a life of ease and relative safety in Philadelphia. A shoppe owner, he’s quite comfortable there! But his adventurous grandparents had lived in the backcountry in the early 18th Century, making them some of the first settlers in a sparsely populated area. Sparsely populated for a reason. If you watched any of those television shows in the 1960s and 1970s and thereabouts, you probably saw “Indian attacks” as being a big theme. Realize that the Native Americans, who’d populated coastal America, had already been pushed back. Where? To the frontier, including western Virginia. When I began researching another book, Saving the Marquise’s Granddaughter a novel from Pelican (2016), I dug into the Rare Books stacks at the University of Virginia, in Charlottesville, which sits at the edge of the Blue Ridge Mountains. I read the accounts of the settlers to the Shenandoah Valley, where my ancestor Johan Adam Roush and his wife Susannah Sehler Roush settled. Some of the tales were so tragic I could barely force myself to read them. But I began to see that these people were stalwart and must have had something that motivated them so strongly that they’d stay in such a dangerous place. Multiple individual accounts told of abductions, burning of cabins, scalpings, and various Indian attacks. Granted, a number of these attacks may have been by “rebels” who didn’t have the sanctioning of the tribe. Still, there were so many heartbreaking stories, across the region, from various times, that this posed a significant threat. Living here in coastal Virginia, I have access to many colonial era historical museums such as Colonial Williamsburg and the American Revolution Museum at Yorktown. We know that the British required people to worship via the Church of England (Anglican) YET the settlers on the frontier were primarily Palatinaters (from the Palatinate of Germany) who were Lutherans. Why allow all those Germans to settle and not follow the rules of the coast? Easy. 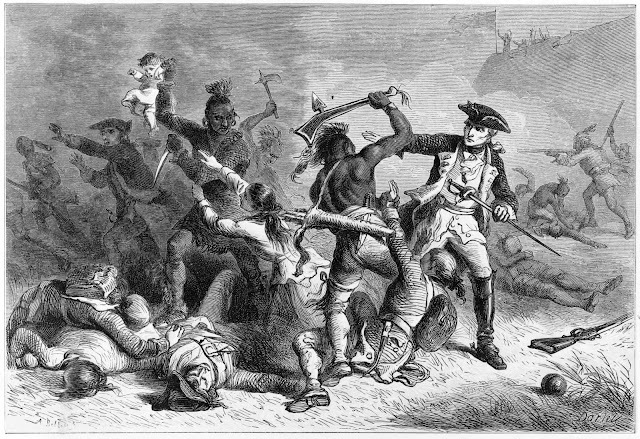 They were a human shield between the French to the west and Native Americans inland, and those who lived in coastal colonial Virginia. Question: Would you want to move somewhere dangerous? What might make you overcome your reservations? 1754 - Great Wagon Road, into the Shenandoah Valley (Virginia) As the French-Indian War commences, Magda Sehler wonders if Jacob Owens lost his mind to have abandoned his Philadelphia business and moved to the Shenandoah Valley. Or has he lost his heart? 1757 - (North Carolina) Joseph Gregory plans to buy a lumber mill, but Mabel Walker becomes a formidable opponent. When she’s forced to make a painful decision, she must choose between survival and love. 1763 - Fort Michilimackinac (Michigan) during Pontiac’s Rebellion Laurette Pettigrew grew up in the northern frontier. Henry Bedlow arrived against his will. Their chance meeting changes everything. Will a deadly clash of cultures keep them from finding happiness? 1764 – (New York) As thousands of Native warriors converge on Fort Niagara, jaded British Lieutenant Archibald Walsh and idealistic schoolmistress Susannah Kimball learn the greatest risk lies in guarding their hearts. 1771 - Sapling Grove settlement on the Holston River (Tennessee) The Cowden temper has been Marcus’s lifelong bane. A trait Lorinda Cowden curses. Now, winning the heart of his bride hinges on fighting a war without raising a fist. 1781 – (South Carolina) Tasked with infiltrating an infamous Tory gang, Jed Wheeler has no wish to endanger the leader’s cousin, Lizzy Cunningham. He risks not only his life. . .but his heart. 1792 - Fur Post on the Upper Mississippi River (Minnesota) When Englishman Henry Kingsley meets Abi McCrea, the daughter of a Scottish fur trader and Indian mother, will their worlds keep them apart, or have they finally found somewhere they truly belong? Carrie Fancett Pagels is an ECPA bestselling and award-winning author of Christian historical romance. Twenty-five years as a psychologist didn’t “cure” her overactive imagination! She resides with her family in the Historic Triangle of Virginia, which is perfect for her love of history. Carrie loves to read, bake, bead, and travel – but not all at the same time! 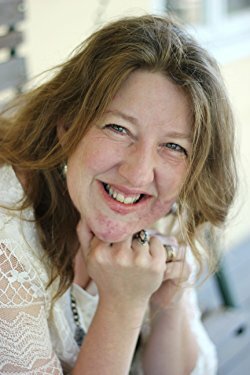 Jennifer Hudson Taylor is an award winning author of inspirational fiction set in historical Europe & the Carolinas. She provides keynotes and presentations on the publishing industry, the craft of writing, building an author platform & digital marketing. Jennifer graduated from Elon University with a B.A. in Communications/Journalism. When she isn't writing, Jennifer enjoys spending time with her family, traveling, visiting historical sites, horseback riding, cycling, long walks, genealogy and reading. 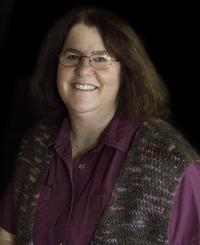 Denise Weimer holds a journalism degree with a minor in history from Asbury University. 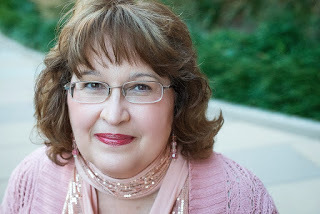 She writes time slip romantic suspense, as well as both contemporary and historical romance. A wife and swim mom of two daughters, Denise always pauses for coffee, chocolate, old houses, and to write any story God lays on her heart. Gabrielle Meyer lives in central Minnesota on the banks of the Mississippi River with her husband and four children. 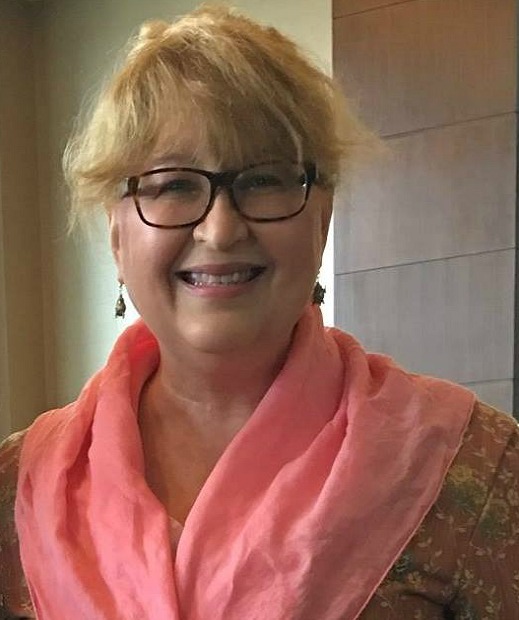 As an employee of the Minnesota Historical Society, she fell in love with the rich history of her state and enjoys writing fictional stories inspired by real people, places, and events. She loves connecting with readers! 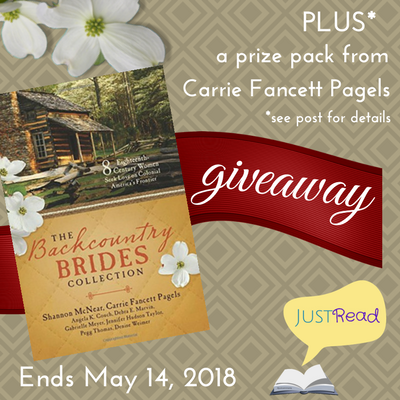 (1) Winner will win a prize pack consisting of one print copy of The Backcountry Brides Collection, a pair of handmade earrings from Carrie Fancett Pagels and book swag plus CHOICE of (1) copy of any book by Carrie Fancett Pagels OR a $25 Amazon (or Barnes & Noble) gift card. (US only, however the gift card is also open to international winners except where prohibited by law. Giveaway is subject to policies found here. To Enter, use the Rafflecopter giveaway below. Be sure to stop at every post on the tour for additional entries! 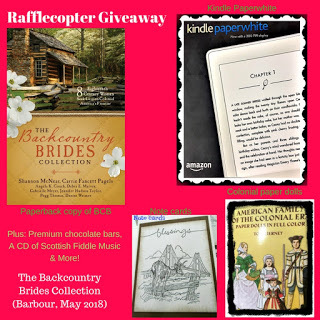 During the month of May 2018, the authors of The Backcountry Brides Collection are also hosting a giveaway that includes a print copy of the novel, a Kindle Paperwhite, and lots of Colonial-themed goodies! To enter click on the image below.